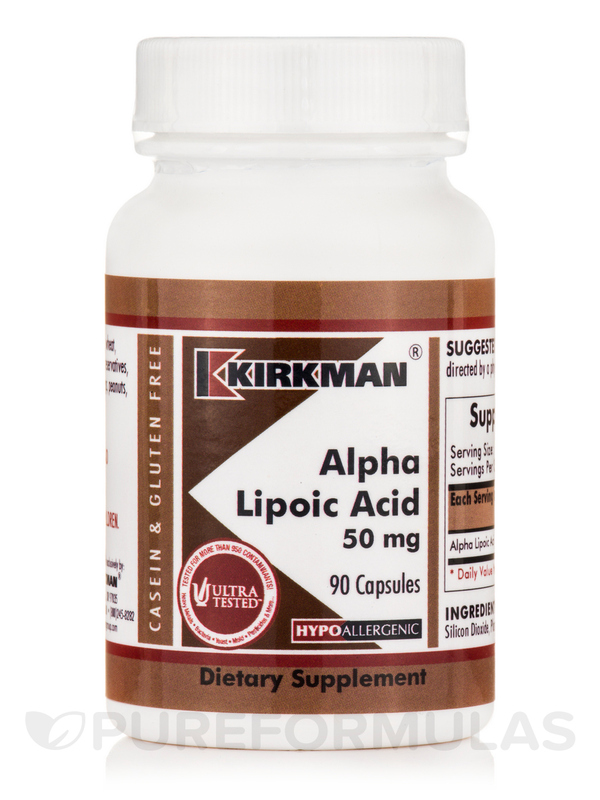 If you’re looking for a convenient antioxidant supplement‚ you might want to try Kirkman’s Alpha Lipoic Acid 50 mg.
Like other antioxidants‚ alpha-lipoic acid could potentially work to protect your cells from free radical damage. 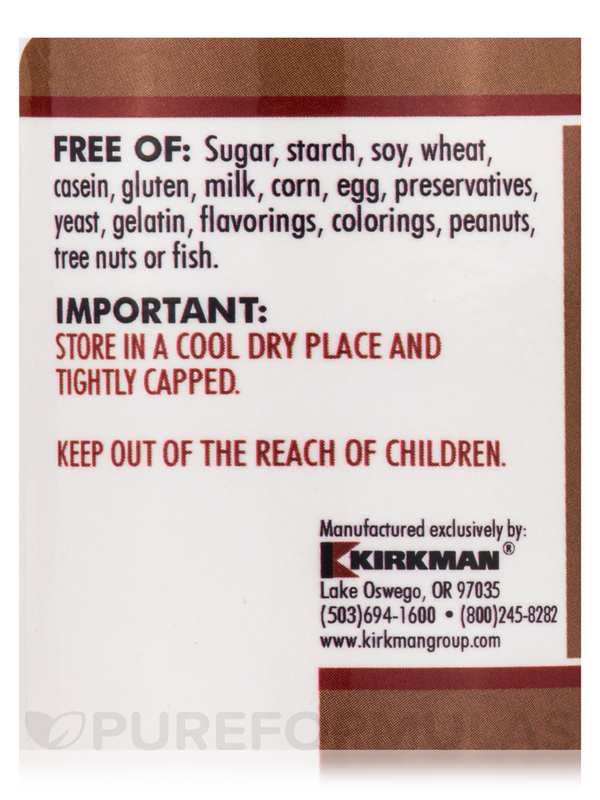 However‚ it might be more versatile because it’s both water- and fat-soluble. In addition‚ Alpha Lipoic Acid 50 mg might work to recycle other antioxidants like glutathione. 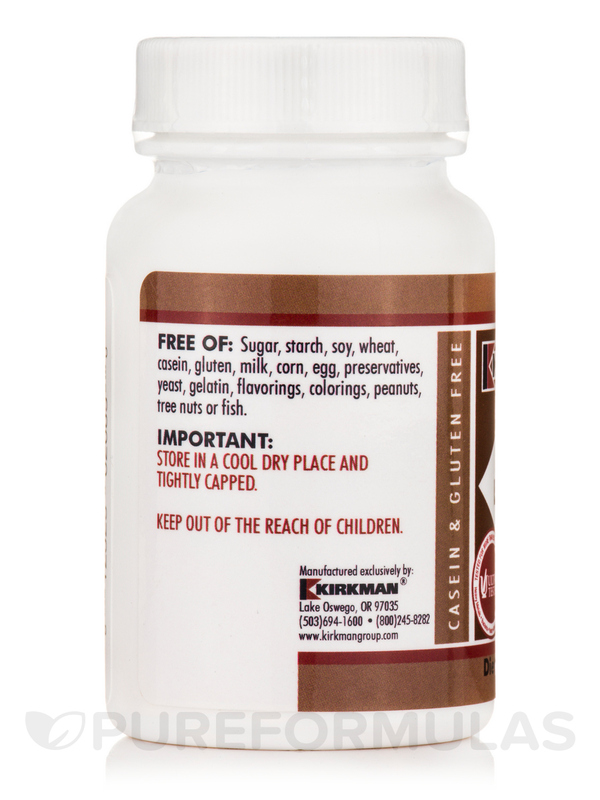 Notably‚ glutathione is a blend of three amino acids that could potentially have a gentle detoxifying effect on your liver. Furthermore‚ alpha-lipoic acid may help your cells convert glucose into energy. 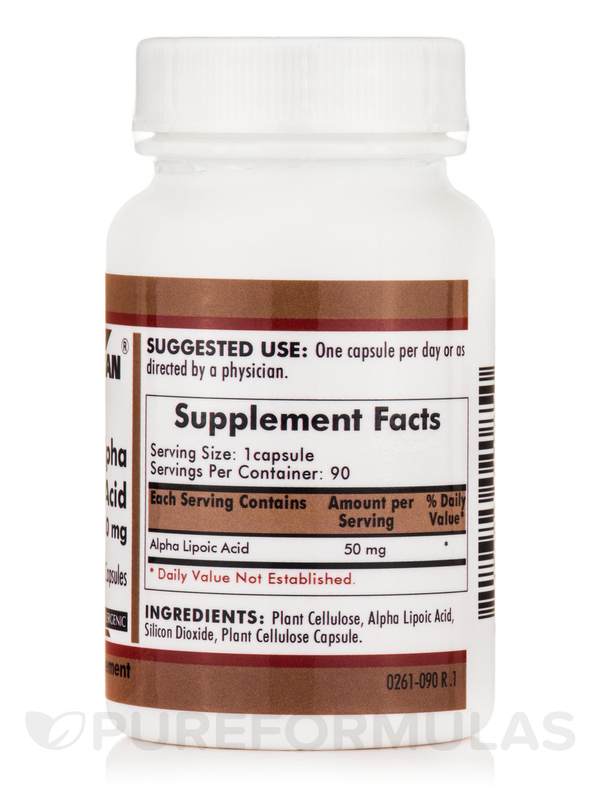 For these reasons‚ this supplement provides 50 milligrams of alpha-lipoic acid in every capsule. Although foods like spinach and organ meats contain alpha-lipoic acid‚ a supplement like Alpha Lipoic Acid 50 mg may serve as a more convenient source of this antioxidant. 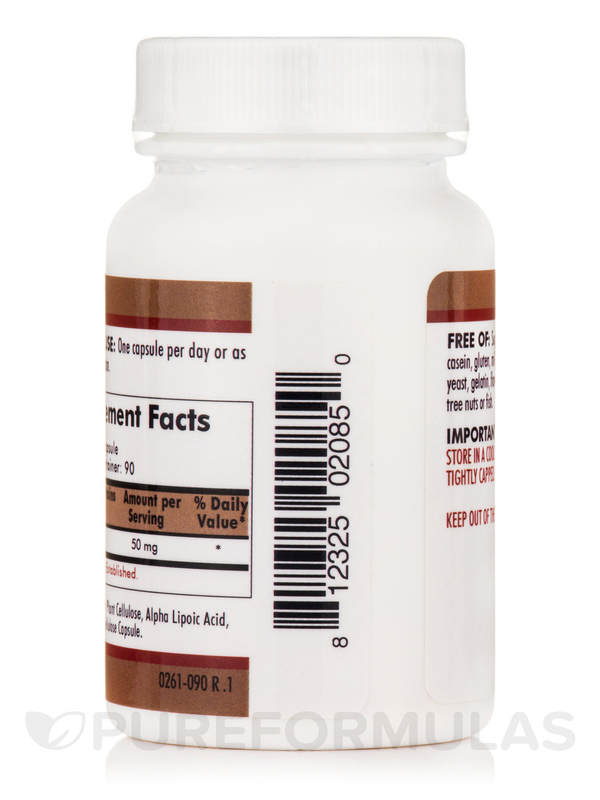 At the recommended serving size of one capsule daily‚ every 90-capsule bottle of Alpha Lipoic Acid 50 mg by Kirkman should last for about three months. 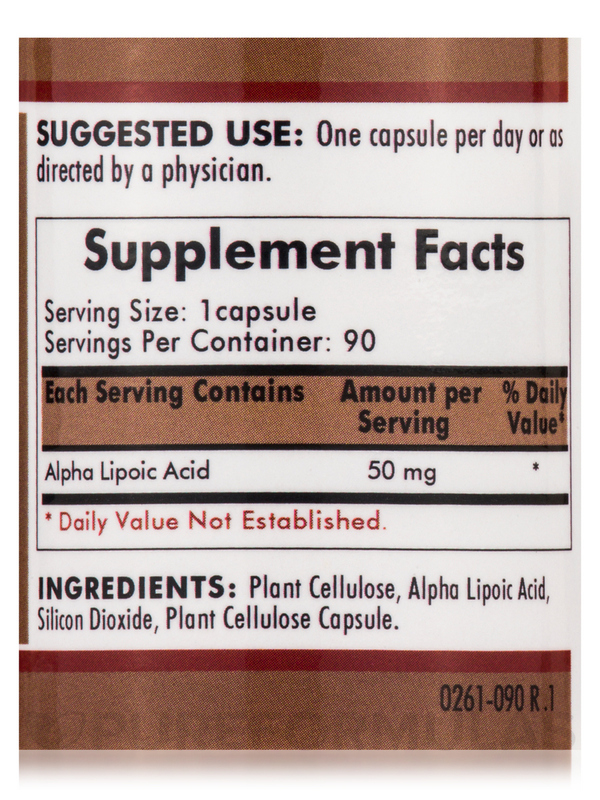 Plant cellulose‚ alpha lipoic acid‚ silicon dioxide‚ plant cellulose capsule.